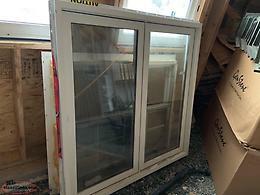 Wanted to buy 2 windows size,341/2 wide by 271/2x high,inside measurement or in that area . must be vinyl. Might be interested in other doors and windows also.Thanks! looking for one hood visor and four window visors for a 2015 dodge journey, thanks. Hi, I'm interested in the 'windows wanted' posted on NL Classifieds! Please contact me if still available.